Santa Cruz owes its progressive politics to neighborhood activists, says author Bill Domhoff. The transformation of Santa Cruz from a flagging tourist town to a capital of progressive politics represents the unlikely triumph of dedicated neighborhood activists over powerful real estate interests, says Bill Domhoff, coauthor of the new book, The Leftmost City. "Santa Cruz is the only city of any size in the country that isn't controlled by real estate interests, developers, and downtown building owners," said Domhoff, a research professor of psychology and sociology and a member of the founding faculty at the University of California, Santa Cruz. Beginning in 1969, write Domhoff and coauthor Richard Gendron, a coalition of neighborhood preservationists joined forces to oppose a major widening of Mission Street that would have transformed the city's westside neighborhood. "The whole story of the politics of any city is between the people who own real estate and the people who live in the neighborhoods and don't want their neighborhoods sullied," said Domhoff. "After they defeated that proposal, all construction came under attack." The presence of UCSC helped transform the town, as well, acknowledged Domhoff. UCSC welcomed its first students in 1965, after the city of Santa Cruz scored an upset victory over San Jose's Almaden Valley in the competition to host the newest UC campus. Landing UCSC "saved the town" following the erosion of the city's heavy industries, including logging and leather tanning. "This city was dying because the only thing they had left was tourism," said Domhoff. "It was a big fight by the moneyed interests to get the university in Santa Cruz, and it made the land infinitely more valuable forever." UCSC has been an economic powerhouse, bringing thousands of students to town and providing hundreds of jobs. From its earliest days, it also attracted liberal faculty, staff, and students, who ultimately transformed the community, according to Domhoff. "UCSC founders Dean McHenry and Page Smith embraced a liberal arts model that attracted a special kind of student--they didn't want fraternities and sororities, or football games, or a business school, because we didn't have any of that," said Domhoff. "It attracted students who were, in general, very open-minded and who became political because of the events of the 1960s." "UCSC has always had twice the national average of liberal students, and that image attracted more of them," he said. "More importantly, the first faculty and staff became neighborhood leaders." Current Santa Cruz Mayor Cynthia Mathews, whose husband is an astronomy professor, became involved in politics decades ago to protect the amenities of Santa Cruz, as did current City Councilwoman Katherine Beiers, who worked as a campus librarian for many years, he observed. For McHenry, who wanted good relationships with the town's business leaders, the emergence of a vocal coalition of neighborhood activists was problematic. "The university saved the town, but there's irony, because it created a rival power base," said Domhoff. Student voters made up only 10 to 13 percent of the electorate, but they voted with a uniformity that determined the outcome of many local elections in the 1970s and 1980s, noted Domhoff. By the late 1970s, many alumni who had remained in town after graduating had reshaped the city's landscape, putting a focus on social services, environmental advocacy, women's health, affordable housing, and "quality of life" issues such as neighborhood preservation. By 1981, progressives won a majority on the City Council. Rebuilding downtown Santa Cruz after the Loma Prieta earthquake in 1989 gave the "growth machine" another opportunity to reassert itself, but it was thwarted by organized residents and elected officials who wanted to preserve the city's unique character and support independent businesses. A subsequent battle over proposed factory-outlet stores yielded another defeat for the growth machine and "set in stone that neighborhood activists and environmentalists would dominate the progressive coalition." "The key to understanding social change is to realize that a handful of really dedicated, focused people can have a huge impact, because most of us are busy with our everyday lives," said Domhoff. "There aren't monuments to the city's early leaders, but what they fought for has become a part of everyday life." 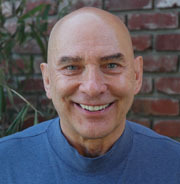 Domhoff coauthored the book with Richard Gendron, an associate professor of sociology at Assumption College in Massachusetts. Gendron conducted much of the research for The Leftmost City while earning a doctorate in sociology from UCSC. Note to journalists: Domhoff may be reached at domhoff@ucsc.edu.